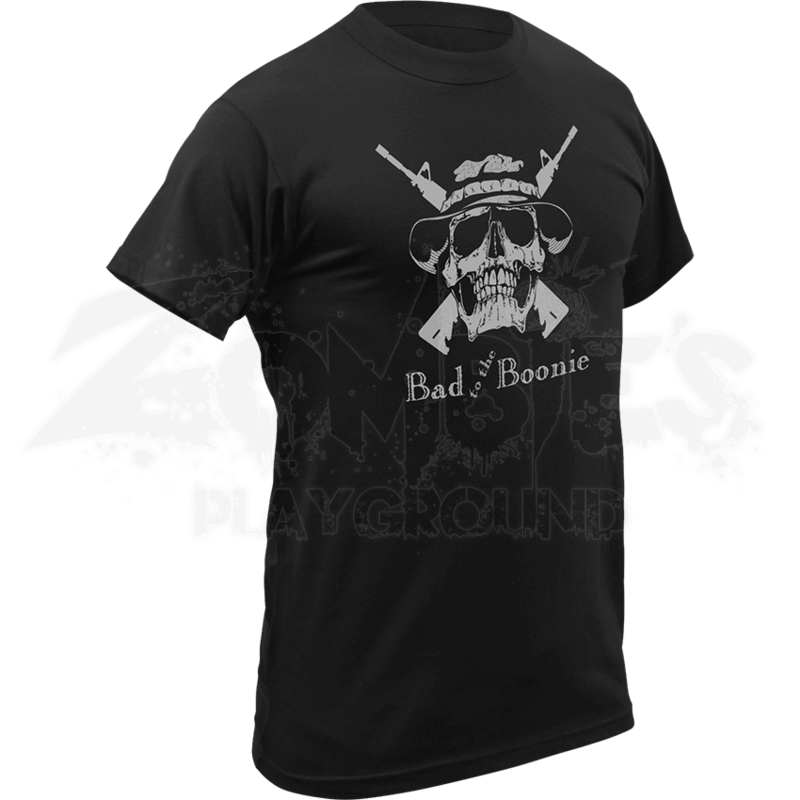 Commemorate the duty of veterans and show a little support with the stylish Vintage Bad to the Boonie T-Shirt. This original item can be a great way to honor those who have bravely served as well as staying stylish and comfortable. Carefully crafted from a cotton polyester blend this t-shirt has a unique design. On the chest there is a detailed graphic of a skull with a boonie hat and two rifles crossed behind it. Below the skull there is the phrase, BAD TO THE BOONIE. On the back of this item there is ROTHCO SUPPORTS, SUFFOLK COUNTY UNITED VETERANS, and then the phrase IF ITS GOOD FOR THE VETS LETS DO IT. 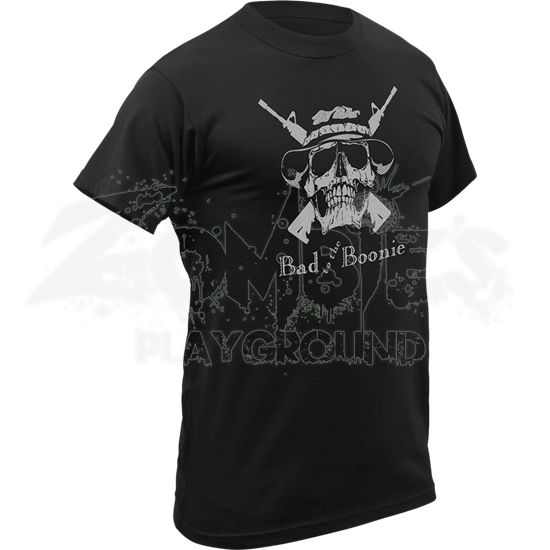 Those brave men and women who fought for our freedoms would recognize this display of support with the Vintage Bad to the Boonie T-Shirt, so pick one up today.